‘After Dark’ is written by one of our ongoing contributors and this in no way influenced our review but wanted to have full transparency. Synopsis: What’s waiting for you in the shadows? 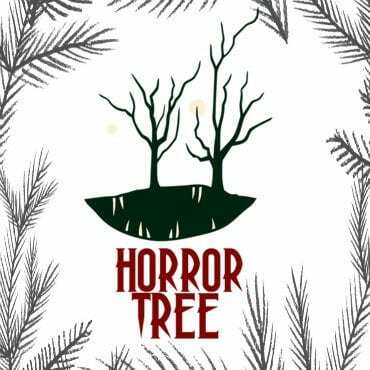 Ghosts, curses and creatures of the dark, these stories take you on a journey from the secret whisperings of the trees, to the torments of the subconscious mind. After Dark by Liz Butcher is a single author collection of horror short stories and drabbles. Opening the book are backstories to the stories within, written by the author herself, which are interesting insights to the works the reader is about to enjoy. I would use the word “Story-ception”, then make a dramatic and drawn out “bwah” noise, but I would then have to revoke any credibility I might have out of shame. The meaty literature part of the book is arranged in a drabble-short story-drabble pattern that is an effective method for pacing the reading. Each one of the stories are independent narratives, but many have a number of connecting themes, the most prominent of which is trees. Some are more subtle, while others have a more open arbor-based horror that you never knew you needed. A drabble is a deceptively simple thing: it’s just 100 words, right? As it turns out, that’s not right. A drabble is 100 words that needs to be a complete story. Not so easy sounding now, is it? There is not enough space to have a superfluous passage; failure and reader boredom loom with every press of the space bar. Drabbles are the writer equivalent of blitz chess. Liz Butcher, on the other hand, has shown how a writer makes a drabble: little information is given but a wealth of information is suggested with a masterful use of the right word in the right place. It is a treat for a reader to be compelled to think about a story after it has been read, with revelations coming long after the page has been turned. 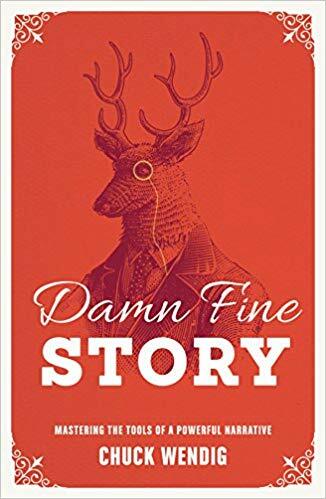 And before you think that this collection is a one-trick pony – the short stories have been written with no less skill and care. Moving on, hopefully I do not need to explain what a tree is. I know you’ve seen them at some point: they are those tall, rough looking things with colour changing tops and reside in the not-phone-screen place (formerly known as “outdoors”). While trees cause horror every Spring for those with allergies, Liz Butcher has taken these plants and brought a cosmic horror of sorts to them. P. Lovecraft himself stated that the oldest and strongest emotion of mankind is fear, and the oldest and strongest kind of fear is fear of the unknown. There is no stronger representation of the unknown in Butcher’s works than a forest. She takes these otherwise coincidental collection of trees and recalls in the reader the ancient human fear of the dark recesses trees harbor between their bark, and the kinds of creatures or horrors that can dwell within them. Butcher takes it a step further in some stories, moving trees from scene elements to feature them as antagonists, directly harming characters, especially the protagonists. While trees are a reoccurring theme and element – going so far as to have tree themed art for the story beginning and page breaks – it isn’t the only thing that brings this collection together. Self-sacrifice rivals trees for the most common theme, but is not as overt about it. Characters, from protagonists to secondary, throughout the collection are given difficult choices to make. These are no mere salad or soup choices either, they concern the character’s own wants versus the needs of the world/ others around them. It lends a drama and sympathy to protagonists who are already well characterized to begin with, achieving that all-important empathy in the reader. Later in the book, we move from the forests to underwater, following merpeople and their aqua shenanigans. These characters have been crafted with an artful hand, making half-people, half-fish beings into something that lives on the page, with sympathetic human drives and emotions. Those emotions are often centred on today’s age of climate change. Most of the time the underwater habitats these creatures dwell in are in danger from malignant human influence, adding a very real, dramatic, and topical element to something that is often treated with whimsy and explorative optimism. Piggybacking on that last point, a technique that Butcher uses to great effect in a number of stories is the unusual point of view. There are several stories, especially among the drabbles, that have the reader following a protagonist who is more villain or anti-hero than hero. One is even from the point of view of an infant, the most difficult of all anti-heroes to relate to. This bares noting because of the success with which Butcher makes these characters; it is far more difficult to make a believable character of dubious nature and morality than it is to make one that loves petting kittens and calls their parents at weekends, but Butcher pulls it off with a masterful stroke of the keyboard. It comes as no surprise that Liz Butcher would create such great works. Many of the stories included have been featured in anthologies that have won/ been nominated for a number of awards. But you don’t come to a reviewer to hear about accolades in the same way you don’t go to a glassier to get a hot dog. What follows will be some of the standout stories that I’ve found in this collection. This is by no means a mark against the others, as there isn’t a bad apple in this entire basket of literary fruit, these are just the ones that deserve a particular note. We start as we mean to go on: with a tree. Although in our inaugural drabble, this tree is no ordinary carbon dioxide sponge. This is a quite descriptive story, rich in imagery, magic, and emotion, all in a neat little narrative. Ever wonder what death and time do together? You find out in this story, as these concepts have been elevated to anthropomorphic and personified characters. Dormir has elements of a fairy tale, mystery, horror, and romance. Instead of being unfocused, it creates a story that is as much about the acceptance of death as it is a celebration of life. Straight-up horror. You know those trees in the forest? They might hold a lot more than birds’ nests. They might just hold something that is integrally a part of the nearby Walton-esque town, but what that connection is is not what it appears to be on the surface. A great drabble with a magnificent contrast between horror and the joy one can take in sewing. This is a standout because it is from an unusual point of view: that of a demon. From 1888 Whitechapel to modern-day Brisbane, the reader is caught up in a desire to see what comes next from a truly horrific, and believable, protagonist. An example of the inevitable doom of college students in any horror situation. Far from garish slasher films, however, this story is full of heart-stopping turns and quite a surprising ending. While there were many poor decisions made that any reasonable person would stay away from like a custard and Ebola éclair, it doesn’t take much away from such a good story, leading the reader to demand to know what will happen next. Have you ever made a decision by flipping a coin, letting fate handle the hard part? What if that coin was flipped by a madman, and your life was on the line? Would you want to trust fate then? Creeps are creeps, even if they’re handsome. If you’re on a girl’s night out, and you’re approached by a mysterious and attractive stranger speaking of hypnotism, it’s probably best to not cooperate with them. Because if you do, as this story demonstrates, you might end the night a far different person than when you started it. Those strange old people living on the periphery of a forest might be strange for a reason. The real strangeness may come from what dwells within the trees, long forgotten by modern people until it once again emerges, bringing terror with it. Be careful who you burn at the stake. Apart from the innocents that will fall victim to the mob mentality, even if you get something sinister, it’s far from time to pass around the tea and medals. Loss of love can cause people to do many rash things. Those things often lead down terrible paths. It’s made all the worse when magic comes into play. This is a horror story with the trappings of a great tradgey. This story is a warning. It is a warning about retribution for the mistreatment of the planet, especially the oceans. This retribution may not come from awakened ancient beings, but it could. The depths are still, as of yet, a mystery that may hold more horror than wonder. A story from the point of view of a creature of rage and fury. What sets this revenge story apart from so many others is its surprising ending, for the reader and the protagonist. A standout of psychological horror. It will leave the reader questioning what was real and what was a terrible manifestation of guilt. After Dark can be found at Amazon. Synopsis: Edinburgh, 1847. City of Medicine, Money, Murder.